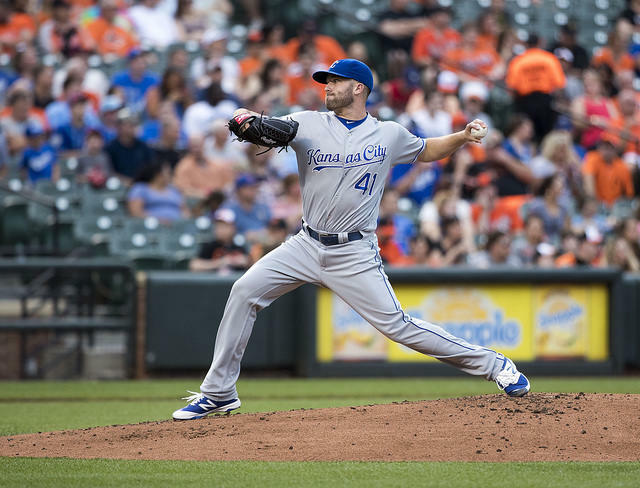 Royals pitcher Danny Duffy was cited for a DUI Sunday night in Overland Park, Kansas. The Kansas City Royals have faced plenty of on-field troubles recently. Now, it appears they have a problem to worry about off the field as well. Pitcher Danny Duffy was cited Sunday night for driving under the influence of alcohol. Overland Park Municipal Court records show Duffy was pulled over near 135th and Metcalf just before 8 p.m. Duffy's first hearing date is set for Sept. 19. The Royals were in Cleveland, Ohio, this past weekend and were swept in three straight shut-outs by the Indians. Duffy had returned to Kansas City a day early to undergo tests for an injured elbow. The team recently placed him on the disabled list. The Royals have lost five games in a row and are on a franchise-record 43-inning scoreless streak going into tonight’s game at Kauffman Stadium. Kyle Palmer is KCUR's morning newscaster and reporter. You can follow him on Twitter @kcurkyle. Kansas City Royals third baseman Mike Moustakas is on the verge of breaking the team’s home run record. Former slugger Steve “Bye Bye” Balboni’s record of 36 home runs in one season has stood since 1985. But if you consider the Kansas City A’s era, the record is further away — but still within reach. Some die-hard Kansas City fans don’t want that record to fall. In the last few years, professional sports teams have begun to realize that noisy stadiums can be hard on people with autism and other special needs. 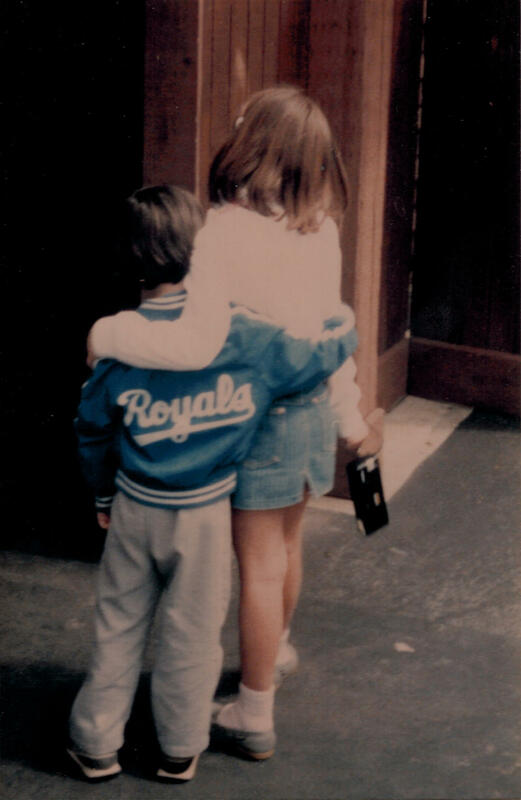 Among them are the Kansas City Royals, whose front-office officials happen to include several fathers of such kids. The only time I've come close to getting at a brawl was at Yankee Stadium. It was 1999. I was living in New York, and I went to a game with my baseball-obsessed college boyfriend. We sat in the bleachers where the tickets were cheap, the beer flowed and fights were plentiful. The Royals were a joke and the Yankees were World Series champions. I was a Kansas Citian living in New York, accustomed to a certain amount of abuse. I loved the Royals on principle, but I’m not a sports person. If I can pay attention past the 7th inning stretch, it’s a personal victory. Because let’s face it, there are only so many possibilities in baseball. Guy hits the ball, or he doesn’t. Makes it to first base, or not. And so on. But that night, something caught my attention: The Royals started looking like they might win. At first it felt like a fluke, but soon, the Yanks around me started noticing.